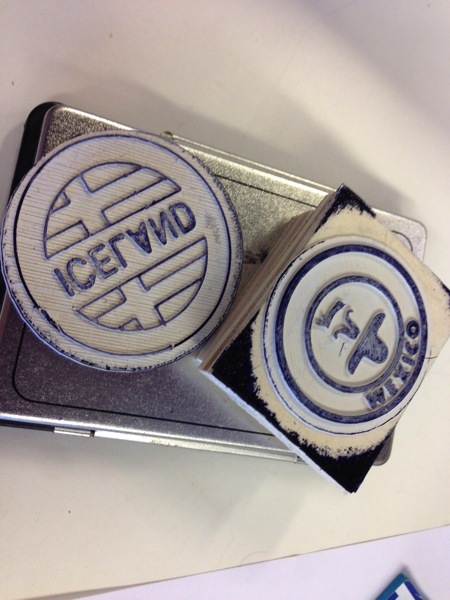 Making stamps #3DPrinting #3DThursday « Adafruit Industries – Makers, hackers, artists, designers and engineers! The very creative girl with a 3d printer, shared her recent experiments with 3d printing custom stamps using flexible filament. 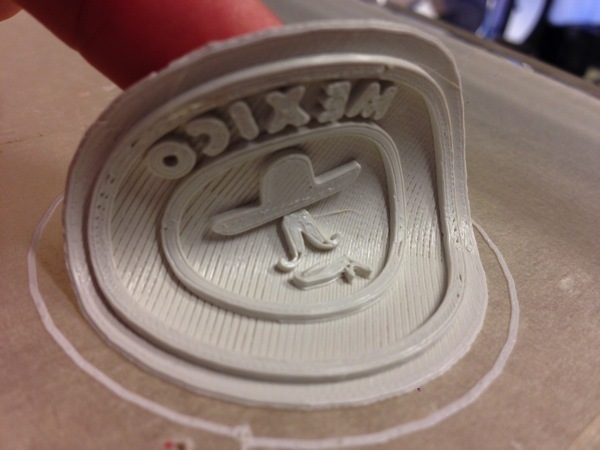 In her project, she used tools from Shapeways to convert a PNG image into a 3D design file. Using netfab and tinkercad, she made minor edits and optimizations. She quickly figured out how to get flexible PLA running on her machine and achieved some decent results. 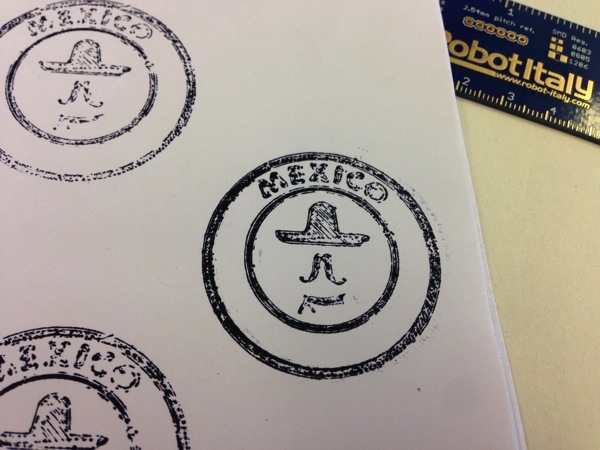 New task: make stamps for an activity with children! We need 10 stamps to use on a “passport” for the children that will come every day for different activities. Just the right occasion to use the flexible PLA we bought quite a while ago, because stamps must be rubbery 🙂 So, there are many ways to make a stamp, but having no 3d modelling abilities I had to find quite a complex workaround and here we are. This is actually a much quicker process than creating a rubber mold from 3d printed parts. Pedro and myself have done similar experiments using mold putty to create a rubber positive from PLA parts. You can check out that video here.